Got a child in your life? 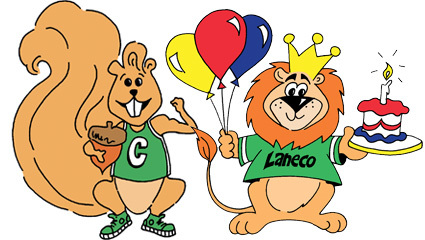 The LANECO Lion Club is free for kids under 16. To open an account for them, you simply need to be a member, deposit their first $5 and we'll take it from there. We'll give them a passbook so they can keep track of their money, reward them with prizes anytime they deposit $10 or more into their account, and send them newsletters and other fun invitations throughout the year. Encourage your little lion to save today. Call 541.683.5665 or stop by the branch. And don't forget to bring them along so they can have their picture taken for the Lion Club Bulletin Board.